Construction was still underway for the Smithsonian National Museum of African American of History and Culture in Washington, D.C. when I had the chance to preview some of the thousands of artifacts before its doors open to the public on Sept. 24. The Founders reception for the National Association of Black Journalists was held on the main floor in early August and our group was given a tour of the third floor following a short ceremony in the Oprah Winfrey auditorium. I have been reminded of just how beautiful the museum is as stories air on television and radio and appear in newspapers and magazines about the upcoming grand opening. There are five floors below ground that include a cabin that was once occupied by enslaved people and a railroad car where riders were segregated. We didn’t get to see that part of the collection but what we saw was amazing and breathtakingly beautiful. There were at least a hundred of us who piled into a huge freight elevator to go up. And when we walked out, we were amazed. Some of the display cases were still covered with paperwork but you could see the stories they were going to tell. We saw quilts, photographs of everyday people, profiles of sports icons and political leaders, statues of Venus and Serena Williams, the sisters who have dominated women’s tennis for nearly two decades. There are artifacts from veterans, including the Tuskegee airmen. Every aspect of African American life is included in the museum. And because of that inclusivity, the stories of the contributions by African Americans who helped build and shape our great country are finally being told and completing the American story. I wanted to walk more slowly and peer into the cases holding artifacts from African American life but there simply wasn’t enough time. But what I did see makes me want to see and hear more. It was a privilege for our group of nearly 300 people to tour the museum. But we do plan to return next spring we can see the rest of the floors and take our time going through. The museum will open at 1 p.m. following the dedication ceremony. 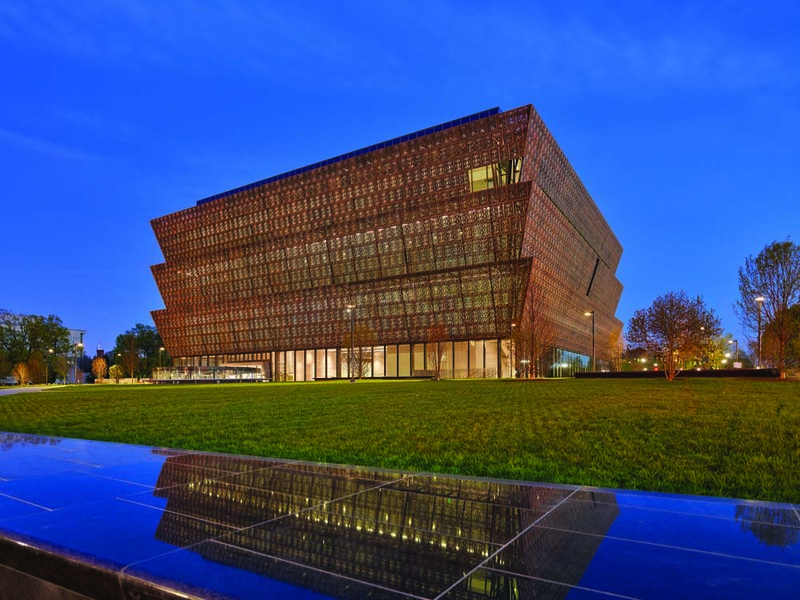 Admission is free and timed passes are available for November and December through the website at nmaahc.si.edu. The museum was approved by an act of Congress in 2003 and is the 19th and newest museum of the Smithsonian Institution. Georgia Rep. John Lewis had introduced a bill 13 times before that to get funding approved but it was always blocked. Under the leadership of founding director Lonnie Bunch, over 36,000 artifacts have been collected from people all over the country. 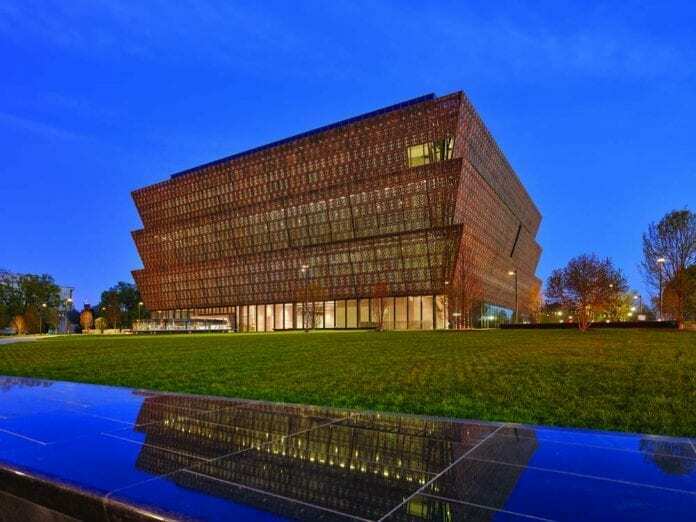 NMAAHC is the only national museum devoted exclusively to documentation of African American life, history and culture and will continue to evolve as it tells its part of the story of American life. President Barack Obama will be part of the grand opening. How fitting that the country’s first Black president will preside on that day. He is preparing to leave office after eight years and leaves a legacy that has also changed America.